Latest Accounting Jobs in Kenya. 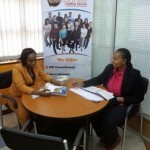 Find under this category, updated and verified Kenyan Job vacancies including Management Accountant, Financial Controller, Accounts clerk, chief Accountant among other top vacancies in Finance. Senior Accountant Job In Mombasa, Accounting Jobs.Our Client is fast becoming a leading brand in Household and Commercial electronic appliances.